Heat Resistant Silicone Enamel is a universal heat resistant coatings upto 200oC. Heat Resistant Fire Grate Paint is a air drying matt black protective & decorative coating designed for temperatures up to 600°c. 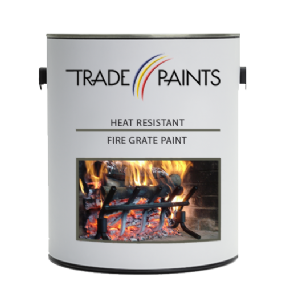 It is ideal for direct application onto steel surfaces such as fire surround grates & fire baskets.